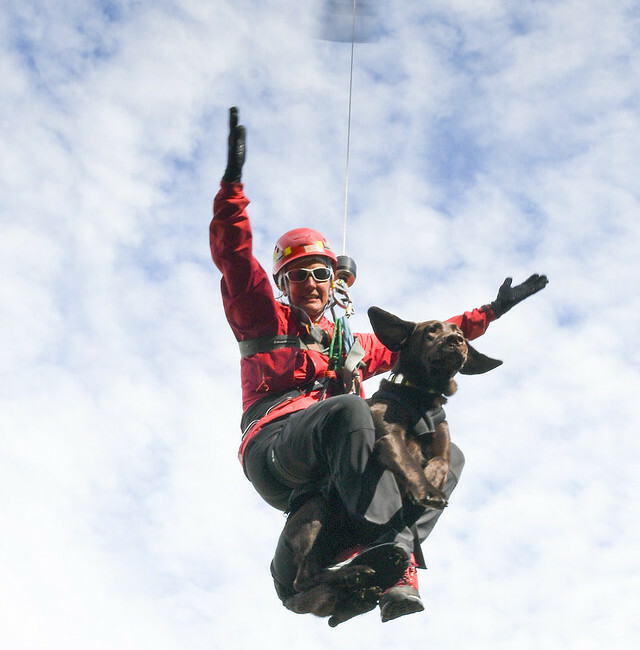 K9 Oso and Heather take to the sky! Thanks to the King County Sheriff Office Air Support Unit, KCSD recently had it’s 2018 helicopter training at Banderra airfield east of North Bend WA. All the dogs had a chance to practice loading into the helicopter with and without the engines running. The handlers and dogs then put on their harnesses and were hoisted up into Guardian 2 as it hovered 120 feet in the air. While it is a fun ride, it is serious business and on those occasions when helicopter transport is required KCSD dogs and handlers are ready to respond. There are more photos and video in the web gallery.